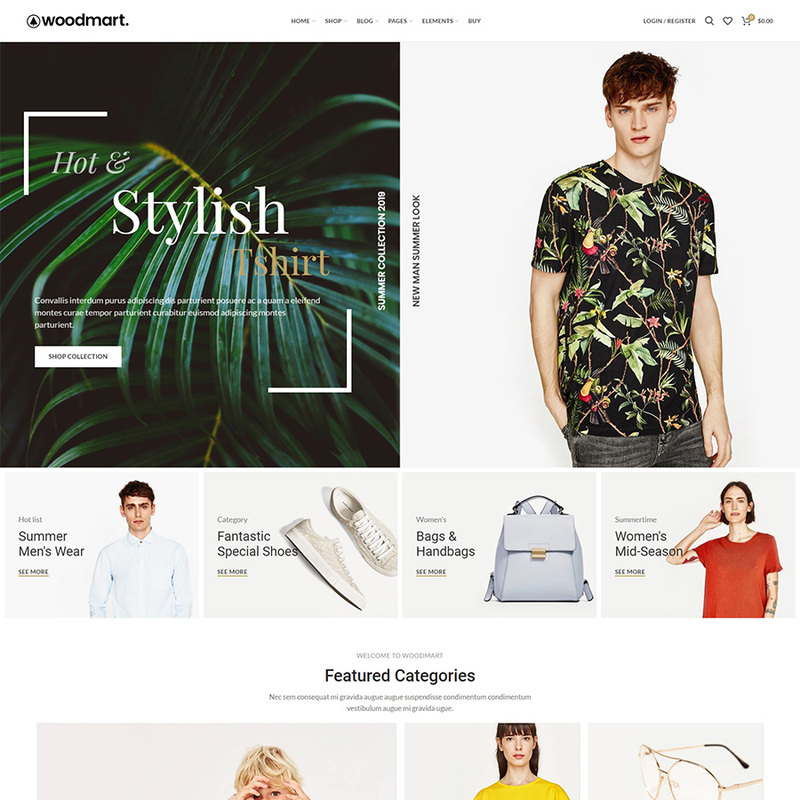 ‘WoodMart’ is a premium WordPress theme​ designed from the ground up for building supreme WooCommerce online stores​ of any kind. 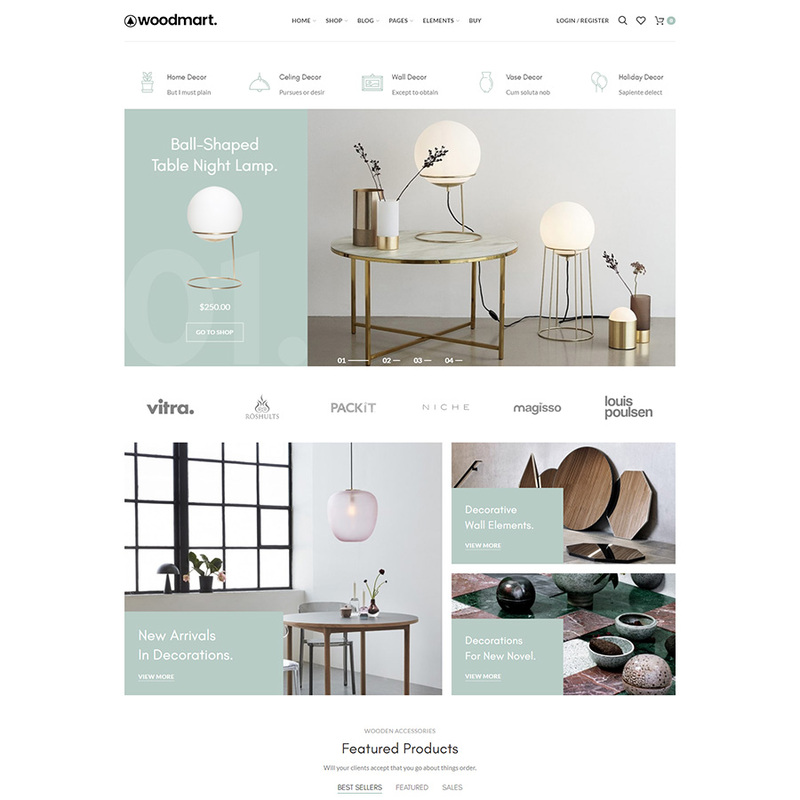 Focussed on user experience​ first WoodMart uses a powerful AJAX tech​ to give users a very fast and seamless online shopping interface​ without the need to constantly refresh pages. 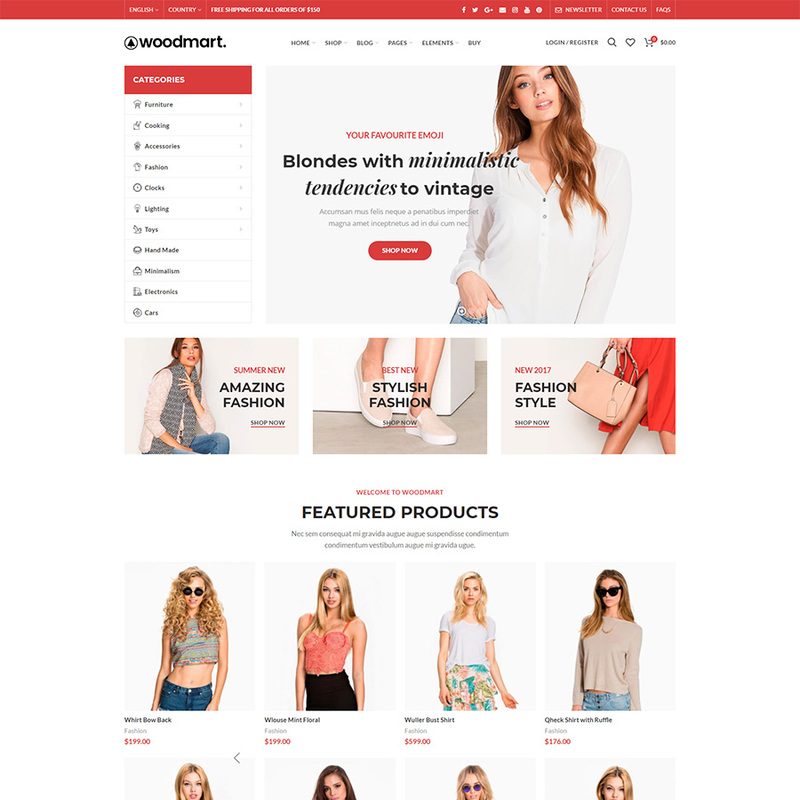 Build any kind of online store ​you can imagine and start earning that passive revenue stream​ you have been thinking about with ‘WoodMart’ for WordPress​ and never look back. With a powerful Theme Settings Panel ​that allows you to change a plethora of Theme Settings with a single click​, you don’t need any coding experience​. Without the need for multiple plugins to power it WoodMart is smart, lean and fast,​ so you can get on with business. The Theme Settings panel gives you a graphical interface to make simple changes quickly and easily. Everything has been tweaked and developed to respond to your customization requests​ with a minimum of fuss so what you are left with is a highly customizable website that can adapt to your change requests​ easily and quickly. Change up your fonts, update your colour palette ​to you meet your brand guidelines​, update your swatches to show multiple product variations​ – it’s all accessible from the familiarity of the intuitive WordPress dashboard​. Of course WoodMart features a completely responsive design​ that manipulates itself​ to best suit the device it is being viewed on. This means you can carry on with the best part like listing items for sale​, creating a killer shop​ and leaving the technical stuff up to the developers. We guarantee that your website will display fluidly across every device​ type you can think of without any extra effort on your part – laptops, PCs, smartphones​ and tablets​ – have been carefully thought out and included in this smart website theme design​. We’ve also made sure that your new website​ will display with the highest possible pixel density​ as per users device. If that happens to be a retina ready device​ then that display will light up with colors that are simply out of this world. Make the most of your photography with this retina ready theme for WordPress​, you won’t regret it. SEO is like the hottest buzzword​ of the decade but put simply it means that your website needs to be coded a certain way so that Search Engines like Google and Bing​ can find the right stuff it needs to, to rank your page correctly​. This means clean code​, well designed, and support for almost all popular SEO plugins that give you more control over use of the right metadata​ in the right place, and being free of bloat​. Not with WoodMart. Using the best tech available we have gotten away from that problem with galleries of products of any kind with stacks of possible types and kinds that simply update as you select them. It provides your customers with the kind of experience you’d expect in a leading marketplace online today​. 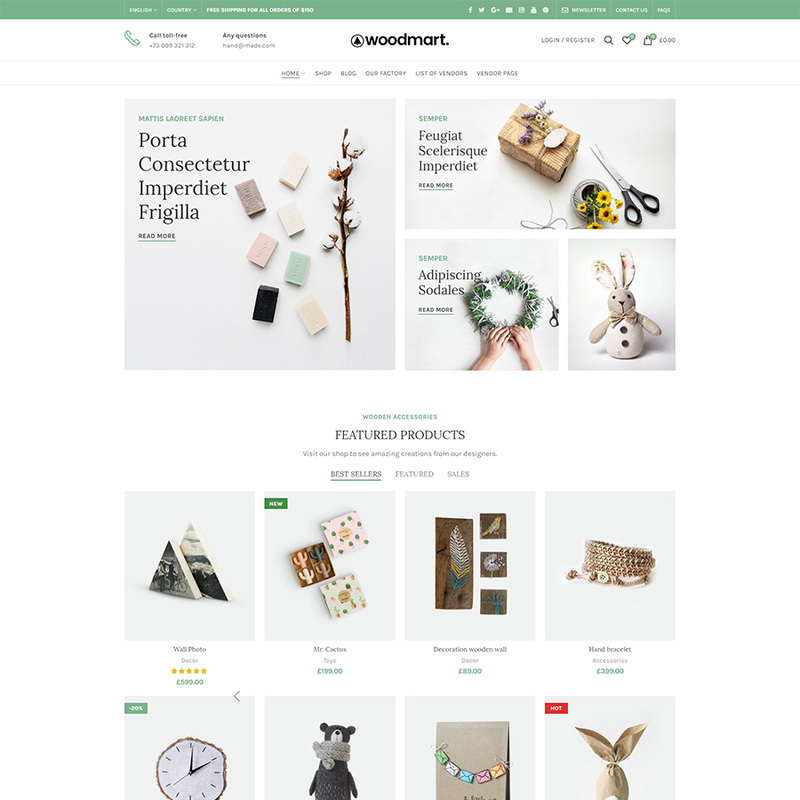 Live up to their expectations with WoodMart for WordPress​ – simple. A great website​ should have a nice supply of demo layouts to get you started and we recognized this from the outset and went out hard from the gate with over 35 stunning layouts for you to choose from. 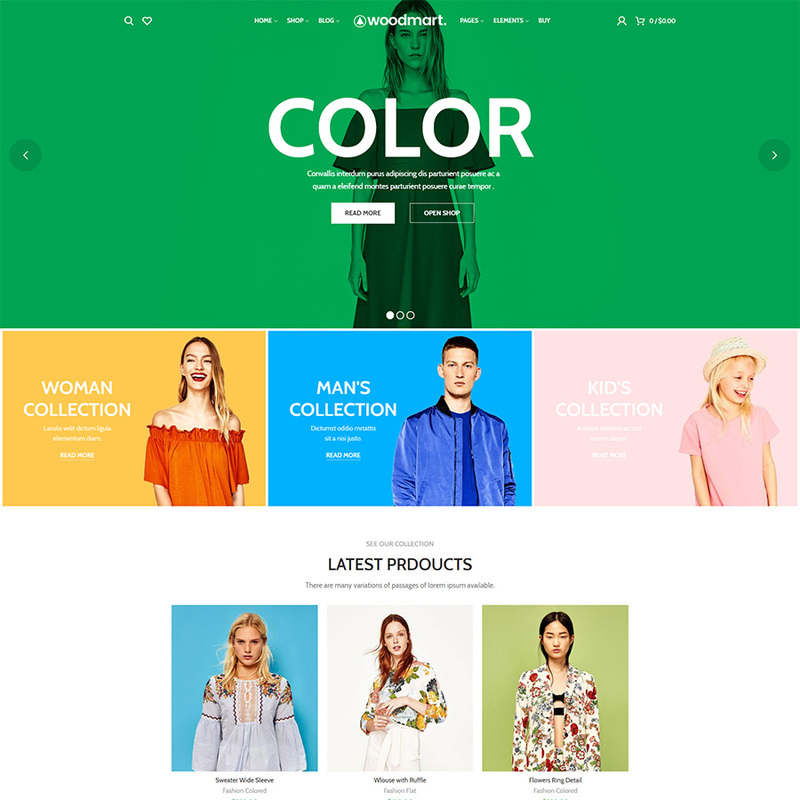 You can use our theme for any kind of store including furniture, fashion, clothing, electronics, watches, glasses, sport, shoes, jewellery, cosmetics and a lot of others. 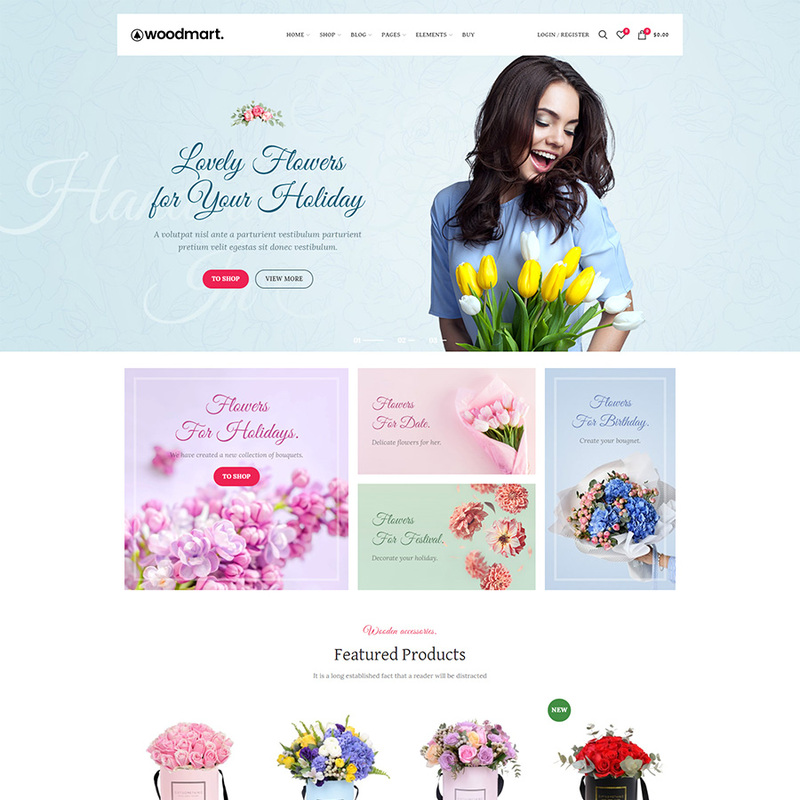 Our theme is also suitable for corporate and magazine websites and you can use it without WooCommerce. Being able to apply multiple product variables and swatches to products​ in your store is a must. 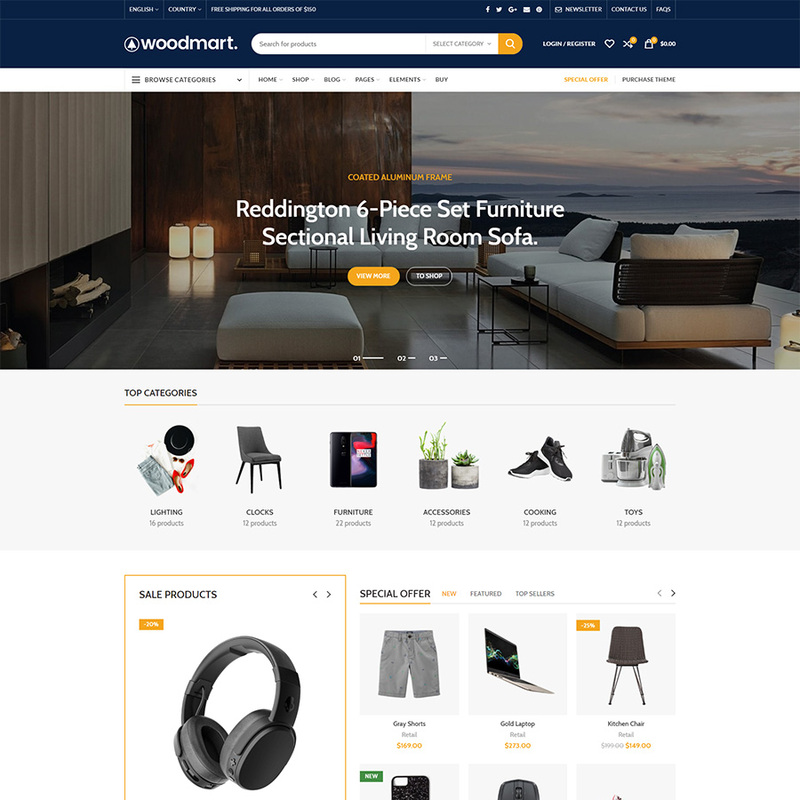 WoodMart is optimized by allowing you to have one listing but show many colours​ for instances, or a certain product that has multiple sizes, types, styles, purposes. This gives your shop so much more depth​ with every product being able to have multiple attributes and variations​, and as soon as they are added to your Cart they appear, no page reloads, no refresh necessary. Once you’ve tried it there’s no looking back. Drag & Drop Header Builder! A great user experience often starts with an awesome header design, and as silly as that may sound to some it is often overlooked. With the next iteration of WoodMart we release a powerful ‘Drag & Drop’ header builder that gives you complete control over designing your headers. Drag blocks into place, label them, update background images, colours, borders, padding you name it. All with a simple GUI that anyone can use to build something really unique. 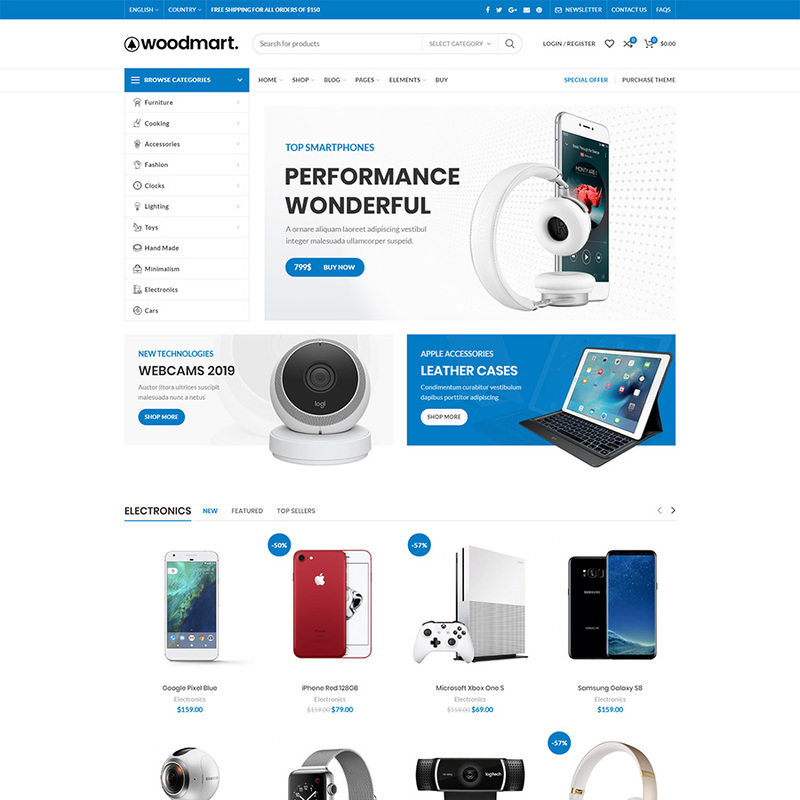 * Please note that all examples are live sites developed by customers using our WoodMart theme (they are not developed by XTemos). And some of them were made with additional code customization so your web-site can’t look exactly the same like some of the examples below right after installation. You can ask your pre-sale directly through the contact form here or any kind of technical question on our support forum. - HK Grotesk Pro font by Hanken Design Co. REMOVED: Header options from theme settings. Now you can use Header builder only. REFACTORED: JS files and divided into parts if “Combined JS” option is turned off. REFACTORED: CSS files and improved RTL styles. Reduced its size. FIXED: WPbakery Frontend editor bug when header builder enabled. ADDED: NEW FEATURE – WoodMart Header Builder. From now, you can edit your header structure and styles with intuitive drag & drop interface. WARNING: Don’t forget to clear your plugin’s cache, CDN and browser cache after the update.